Aber vielleicht k�nnen wir dir eine neue Version dieses Produkts anbieten: Klick hier für ähnliche Produkte. The run of your lifetime is just a split track away without having to break the bank or your spirits to get there with our most trusted all-terrain splitboard. Designed to be the most affordable splitboard on the market, without sacrificing any technology, to get you off the marked trails and into the real terrain. Equipped with our Flat-Out Rocker and critically acclaimed Power Pods to allow you to ride anything with style and ease while having edge grip that can guide you out of any tricky or icy situation. You deserve to experience more than just what is on the trail map, without hurting your wallet. The Contour Hybrid Mix Splitboard skins have a unique adhesive layer that has several advantages in comparison with traditional hot glue climbing skins. These Hybrid skins are easy to use, have a strong hold in all temperatures, no need for skinsavers, are durable and easy to clean. 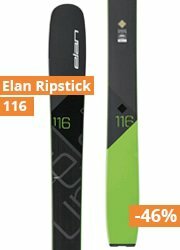 This Hybrid Mix has a 65% Mohair and 35% Nylon ratio wich is the ideal combination of grip and durability.<br />With this kit you can custom trim the skins to the size of your splitboard. Folds into three part to fit easily into a backpack.